3. Mr. Speaker, Honourable Members, four years on, we are all witnesses to visible achievements attained so far. In his Address on the occasion of the State Opening of the Fifth Session of the Third Parliament of the Second Republic of Sierra Leone, His Excellency the President, Dr. Ernest Bai Koroma, did catalogue some of the landmark achievements in moving forward his “Agenda for Change”. These include economic growth and recovery; construction and rehabilitation of trunk, feeder and urban roads throughout the country; completion of the Bumbuna Hydroelectric Power Project and enhancement of other hydro, thermal and solar power generation; rehabilitation of clean water supply systems; introduction of the Free Healthcare Initiative and significant improvements in healthcare for lactating mothers, pregnant women and children under five; transition from subsistence to commercialisation of agriculture, especially for smallholder farmers; increased budgetary transfers to Local Councils, which have transformed and strengthen them as subnational government development agents; improving the investment climate through strengthening of the legal and regulatory regimes and removal of several physical and administrative barriers; expansion of air and sea transportation; improvement in the efficiency of economic management; and broadening and deepening the financial system. 4. Mr. Speaker, Honourable Members, the year 2012 marks the end of the “Agenda for Change”. In 2012, we will be celebrating five years of transformative achievements, including of higher standings on the major international country performance rankings. In particular, in the World Bank’s Country Policy and Institutional Assessment (CPIA), our score has improved to 3.3, thereby moving Sierra Leone beyond the threshold of the classification of a fragile state. Sierra Leone has now been classified from a fragile low income country to low income country with the attendant implications for donor assistance. This performance tells us that we are on the right path and that we are following the right policies. Our goal is to use the fruits of our successes to sow the seeds of our future prosperity. 5. This is a direct response to His Excellency the President’s call to consolidate and continue to improve upon the gains already made in the “Agenda for Change”. This enviable success story has been on the back of determined incremental public spending on priority sectors. Between 2007 and 2010, cumulative public spending, excluding donor support, rose by more than threefold in agriculture, 105 percent for roads, over 79 percent in energy, about 40 percent in health, and 36 percent in education; hence, our overarching emphasis on spurring both economic growth and human development. The combined Government spending in support of governance institutions including Anti Corruption Commission, Parliament, the Judiciary, Audit Service, National Electoral Commission and Human Rights Commission, rose by more than tenfold during this period. In line with the fiscal decentralisation objective, combined transfers for Local Councils for both devolved functions and developmental projects increased by more than threefold, from Le13.4 billion in 2007 to Le77.9 billion in 2010; the key priority sectors being agriculture, from under Le 1 billion to Le13 billion in 2010; health, from Le2 billion to Le31 billion; and education, from Le8 billion to Le28 billion. 6. Mr. Speaker, in spite of all these achievements, significant challenges still remain. The need to address the infrastructure deficit continues to require our attention; strategic investments are needed in people; public sector capacity and accountability need further strengthening; and more importantly, better management of our natural resources is compelling to ensure that the benefits are widely and equitably shared. Hence, without prompting the outcomes of the pending National Consultative Conference on the next 50 years, the next “Agenda for Change” should among other priorities, focus on ensuring inclusive growth and poverty reduction, effectively managing natural resources, accelerating progress towards achieving the Millennium Development Goals (MDGs), enhancing the competitiveness of the economy, expanding quality employment opportunities, and strengthening social protection systems. 7. Mr. Speaker, Honourable Members, as is customary, I will now present the rest of my 2012 Budget Statement by first reviewing recent developments in the world and regional economies and the impact of these on our domestic economy. 8. Mr. Speaker, the macroeconomic environment facing all policy makers in the developed, emerging market and less developed countries has become much more difficult since the global economic crisis erupted in 2008, less than one year in governance by this Government. Our economies have been buffeted by multiple shocks: from food and fuel prices, to export markets, to portfolio capital flows and home remittances, and to development assistance, tourism and the like. The current sovereign debt crisis in the Euro zone is arguably the single biggest risk to the global economy. World financial and capital markets continue to show serious signs of stress. Jobless figures in the advanced countries continue to rise just as their relatively high economic growth forecasts are now being slashed. In the corporate world, blue chip giant companies continue to unveil plans to shed jobs. Slashing overheads has become an imperative as the downturn in the global economy and the squeeze in household incomes sap their profit levels. These problems facing the global economy, including the need for rebalancing of demand, the volatility of commodity prices and vulnerabilities in financial markets, imply that countries, such as Sierra Leone, cannot expect any abatement of external shocks to their economies, over the medium term at least, if not over a longer time horizon. Notwithstanding, the macroeconomic and structural reforms which have been implemented by us in recent years have already helped to make our economies relatively more resilient in the face of external shocks. 9. At the regional level, 2012 thus looks a promising year for Sub-Saharan Africa, provided that domestic economic management remains focussed and sustained. Economic growth in the region is projected at 5.8 percent in 2012, improving upon the 2011 growth rate of 5.2 percent. The prospects for low-income Sub-Saharan African countries are even better, with an estimated growth rate of 6 percent in 2011 and a predicted growth rate of around 7 percent in 2012. 10. I believe that we can draw important lessons from our experience of dealing with the macroeconomic shocks to guide further strengthening of our macroeconomic policies and other mitigating measures, especially to protect the most vulnerable in our societies. 11. Mr. Speaker, Honourable Members, I will now turn to our domestic economy. 12. Mr. Speaker, to our credit, we can boast that, today, our domestic economic and financial fundamentals remain stronger than ever before, despite the difficult global economic environment. The domestic economy is continuing its strong rebound. Real Gross Domestic Product (GDP) is projected to grow by 5.3 percent in 2011 and the growth is expected to be broad based with positive contributions from all sectors of the economy. 13. Domestic inflation remained high during the year, driven largely by the spike in the international prices of fuel and food. However, following prudent fiscal and proactive monetary policies during the first half of the year, inflationary pressures have subsided since June 2011. The year-on-year national inflation rate declined to 15.7 percent in September from 17.8 percent in May 2011. Interest rates on government securities also fell. However, commercial banks’ interest rate on overdraft remained unchanged, averaging 21 percent for the credit worthy clients and 29 percent for the risky borrowers. 14. Total official exports increased by 5.5 percent to US$174.3 million during the first half of 2011, compared to US$166 million for the same period in 2010. The increase in total exports was driven largely by the substantial increase in mineral exports, benefitting from the significant rise in international prices. Mineral exports increased to US$109.6 million during the first half of 2011 compared to US$ 93.4 million for the same period in 2010 and are expected to increase sharply by the end of the year following the commencement of iron ore exports by African Minerals Limited. 15. The total value of merchandise imports increased by 124 percent to US$704 million during the first half of 2011, compared to US$314.3 million for the corresponding period in 2010. The huge increase in imports was largely on account of the surge in import of machinery and transport equipment to support mining activities. Hence, the trade deficit widened to US$530 million in the first half of 2011. 16. Despite this, the exchange rate remained relatively stable during the first half of the year, depreciating by only 3.9 percent, largely supported by increased foreign exchange inflows - both official and private - and strong macroeconomic fundamentals. 17. Mr. Speaker, our country’s stock of external debt stood at US$848.7 million as at end June 2011, indicating an increase of US$67million (8.6 percent) on the end-December 2010 position. Of the total external debt, long term debt constituted 75.3 percent; of which multilateral debt was 62.6 percent; official bilateral debt - 10.3 percent; commercial obligations and short term debt - 24.7 percent. A large proportion of the external debt stock was contracted at highly concessional terms to ensure debt sustainability in the medium to long term. 18. Mr. Speaker, Honourable Members, public finances strengthened during the year, with improved revenue performance and prudent expenditure management. Total revenue and grants amounted to Le1.4 trillion for the first three quarters of the year and is projected to reach Le2.2 trillion by end of the year. Domestic revenue collected for the first three quarters of 2011 amounted to Le1.1 trillion and is estimated to reach Le1.4 trillion or 14.9 percent of GDP by the end of the year, compared to the original target of Le1.2 trillion. 19. Income taxes amounted to Le344.9 billion in the first three quarters of the year, rising to Le419.9 billion or 4.4 percent of GDP by end 2011; total collections from goods and services tax amounted to Le266.7 billion for the first three quarters of the year, and are projected to yield Le335.3 billion or 3.5 percent of GDP for the year as a whole. Customs and Excise collection amounted to Le257.6 billion and is likely to reach Le362 billion or 3.8 percent of GDP at end 2011. 20. Mining royalties and licenses amounted to Le167.8 billion and are projected to reach Le185.5 billion (1.9 percent of GDP). Collections by other Government departments amounted to Le60.7 billion and will amount to Le73.9 billion by the end of the year. Road user charge and vehicle licenses amounted to Le16.6 billion and are likely to reach Le49 billion by end 2011. 21. External grants disbursed for the first three quarters of the year amounted to Le334.6 billion. Of this, budgetary support received so far amounted to Le93.5 billion; support from Global Fund, Le10.4 billion; and Peace Building Fund, Le24.9 billion. Project grants disbursed so far amounted to Le192.8 billion. Total grants are projected to reach Le757.5 billion by the end of the year. 22. Total expenditure and net lending for the first three quarters of 2011 amounted to Le1.8 trillion and is estimated to reach Le2.6 trillion, compared to the budgeted amount of Le2.2 trillion. Of this amount, recurrent expenditures amounted to Le1.2 trillion so far, rising to an estimated Le1.6 trillion by the end of the year, compared to the original budget of Le1.4 trillion. The higher than budgeted recurrent spending was due to overruns in the wage bill, interest on domestic debt and fuel subsidies. 23. Of the recurrent expenditures, the government wage bill amounted to Le474.1 billion by end September 2011 and is projected to rise to Le650.3 billion at the end of the year, compared to Le535.7 billion in 2010. The higher wage bill was on account of the commencement of the new multi-year pay reform for teachers as well as other public servants, including military, police, health sector workers and civil servants. 24. Total interest payments on public debt for the first three quarters of the year amounted to Le172.2 billion, of which domestic interest payments amounted to Le157.5 billion. Interest payments will amount to Le237.2 billion by year end. 25. Non-Salary, non-interest recurrent expenditure amounted to Le526.4 billion as at end September 2011 and is estimated at Le676.1 billion at the end of the year. Transfers to Local Councils amounted to Le61.5 billion as at end September and are estimated to reach Le81.7 billion by year end, compared to Le78.4 billion in 2010. 26. Total Capital expenditure amounted to Le673.8 billion as at end September 2011. Capital expenditure funded by foreign loans and grants amounted to Le424.9 billion while that funded from domestic sources amounted to Le248.9 billion. Total capital expenditures are expected to amount to Le994.9 billion (10.4 percent of GDP) by the close of the year. 27. Mr. Speaker, Honourable Members, total expenditure performance by key sectors for the whole of 2011, compared to the original approved budgets, is mixed. 28. In Agriculture, total expenditure is estimated at Le18.6 billion, compared to Le22.4 billion in the original budget. Of the estimated actual expenditure, food security activities will amount to Le12.2 billion while agricultural extension services will expend Le2.8 billion. Grants for devolved functions in the agriculture sector will amount to Le13.5 billion. In addition, Le1.5 billion would be spent from the domestic development budget on various agriculture projects. 29. An amount of Le140.1 billion will be spent on road construction, compared to Le85.7 billion in the original budget. This includes an amount of Le21.4 billion on the construction of the Lumley/Tokeh peninsular road and Le117.2 billion for the rehabilitation of streets in Freetown and district headquarter towns. 30. On Transport and Aviation, an estimated Le23 billion would be spent by end 2011, as against Le4.4 in the original budget. Of this amount, Le16.7 billion is for the expansion of the Lungi International Airport Terminal, Le2.1 billion as counterpart contribution to the Investment Climate Facility - Airport Transfer Project, and Le1.6 billion on procurement of Government vehicles. 31. In the Energy Sector, an estimated amount of Le30 billion will be spent on energy related projects, compared to Le80.9 in the original budget. This includes Le21 billion for the procurement of transmission and distribution materials including prepaid meters. 32. Total estimated spending on water services is Le12.1 billion, compared to Le11.3 billion. An amount of Le8.4 billion will be spent on the rehabilitation of rural water supply systems in Mile 91, Pujehun and other communities. 33. Total non-salary expenditure on the Education Sector will amount to Le76.7 billion, compared to Le77.1 billion in the original budget. Of this, Le48.5 billion is for grants to tertiary educational institutions; Le6.5 billion for examination fees to WAEC for the WASCE; Le3.2 billion as Grant-in–aid to boarding schools; Le2.1 billion to support the Girl Child programme; and Le1.0 billion to Technical/Vocational education. 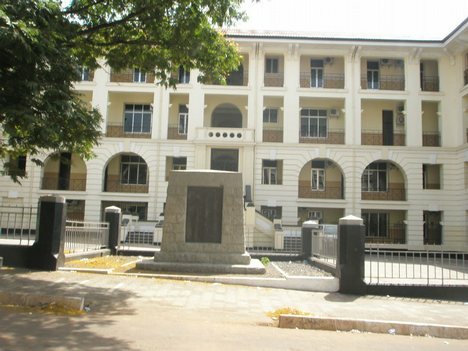 In addition, grants for devolved functions in the education sector will amount to Le30.5 billion, of which school fees subsidies, text books and teaching and learning materials for Government and Government Assisted Schools will amount to Le17.3 billion; Le3.9 billion and Le4.5 billion as examination fees to WAEC for NPSE and BECE, respectively. 34. 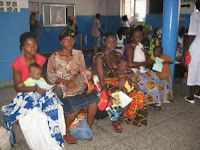 In the Health Sector, total annual expenditure is estimated at Le42.6 billion, compared to Le36.6 billion. About Le3.3 billion will be spent on the Free Health Care Programme; Le1.6 billion on the Expanded Programme of Immunization (EPI), Le5.6 billion for the procurement of drugs and medical supplies and Le12.2 billion on rehabilitation of government hospitals. Grants for devolved functions in the health sector will amount to Le32.1 billion, of which support to tertiary health care services, Le16.1 billion; secondary health services, Le8.2 billion and Le7.9 billion for District Peripheral health care services. 35. The security sector will spend a combined estimated amount of Le102.2 billion, compared to an original budget of Le107.3 billion. Defence will expend Le54.3 billion, including Le7.5 billion for rice supplied to military personnel; Le31.7 billion by the Police including Le400 million for the rehabilitation and construction of police barracks; Le9.1 billion by the Prisons, including Le1.7 billion for diets and drugs; and Le3.0 billion by the National Fire Authority, including Le849 million for Fire Engines. 36. Fuel subsidies paid to oil marketers so far amounted to Le95.4 billion in 2011. This was aimed at limiting the full pass through of higher international oil prices to domestic pump prices, thereby minimising the hardship on the population. 37. Mr. Speaker, Honourable Members, as outlined above, domestic revenue performance for 2011 as a whole is projected to be higher than original budget estimates, due largely to improved collections of tax and non-tax revenues. The higher tax revenue performance has been driven by increased economic activities, improved tax administration and stricter enforcement of tax legislations, resulting in enhanced compliance. Non-tax revenues have been higher than originally anticipated partly as a result of the payment of signature bonuses from petroleum exploration activities and payroll taxes by mining companies. Programme grants have also been higher than budgeted. By end 2011, domestic revenues will be Le269.1 billion higher than originally projected, while programme grants will be Le143.4 billion higher than budgeted. 38. Thus, the higher revenues provided an opportunity to accommodate unbudgeted but highly compelling expenditures on the strategic priorities of the “Agenda for Change”, including in wages and salaries, fuel subsidy, infrastructure (roads and energy), Lungi International Airport Terminal Expansion, additional grants to tertiary educational institutions, NaCSA stalled projects, Statistics Sierra Leone for the Integrated Household Survey, printing of National ID cards and ECOWAS Passports, and new diplomatic postings. 39. Mr. Speaker, the overall budget deficit, excluding grants, is estimated at Le1.1 trillion or 11.8 percent of GDP. Including grants, the overall budget deficit is estimated at Le375.3 billion or 3.9 percent of GDP. The total stock of arrears owed to domestic suppliers was reduced by Le67.1 billion in 2011. 40. The budget deficit for the year will be financed largely by external sources in the form of project and programme loans, amounting to Le334 billion (3.5 percent of GDP). Domestic financing of the deficit will amount to Le116.9 billion (1.2 percent of GDP), of which bank financing will amount to Le73.6 billion and non-bank - Le43.2 billion. Financing through privatisation receipts will amount to Le34.1 billion, essentially proceeds from the privatisation of the Ports Authority Container Terminal. 41. Mr. Speaker, Honourable Members, Government continues to broaden and deepen structural reforms in general, to improve the efficient functioning of the economy. 42. The Bank of Sierra Leone has continued to further the implementation of the Financial Sector Development Plan (FSDP). In support of these reforms, the World Bank provided US$4.0 million to support two components of the FSDP, namely improving access to finance and institutional and legal reform. 43. The Bank has established and operationalised a Credit Reference Bureau in 2011 in an effort to minimize credit risks in the banking system to support private investment activities. In collaboration with development partners, the Bank continues to promote rural financial intermediation. To this end, a number of deposit and non-deposit-taking Micro Finance Institutions (MFIs) have been licensed. As the business model of community banks undergoes reform, the International Fund for Agricultural Development (IFAD) is active in channeling refinancing resources to Small and Medium Scale Enterprises (SMEs) through the Financial Services Associations (FSAs). The number of Financial Services Association has increased to reflect progress in rural credit flows, particularly agricultural credit. 44. Another key component of the financial sector reform agenda is the need to foster stability through strengthened and effective supervision of the banking sector. To this end, the Banking Act 2000 and the Bank of Sierra Leone Act 2000 were reviewed during the year to ensure compliance with international standards and these Bills would soon be laid before this Honourable House for enactment. The Anti-Money Laundering (AML) Act 2005 was also reviewed in 2011, taking into account the Criminalisation of Terrorism Financing (CTF). The revised Bill was approved by Cabinet early in the year and now awaits enactment by Parliament. 45. The implementation of the West African Monetary Zone (WAMZ) Payments Systems Project funded by the African Development Bank is also progressing well. It is expected to ‘go live’ in 2012. This project is expected to modernize the payments system infrastructure in the WAMZ member countries, thereby facilitating the timely conclusion of financial transactions in the WAMZ. 46. 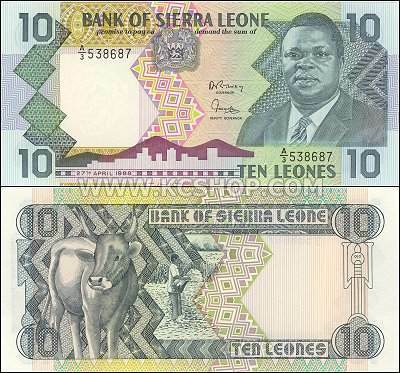 The Sierra Leone Stock Exchange (SLSE) continues to operate with Rokel Commercial Bank being the only listed Company. It is expected that the privatization process will facilitate the listing of additional companies. The Stock Exchange, fully operational, will assist in the mobilisation of medium to long term investment financing. A Securities and Exchange Commission Act will soon be enacted to facilitate regulation and supervision of the Stock Exchange. 47. During 2012, financial sector reform will focus on strengthening the capacity of the Central Bank and the commercial banks, as well as rural credit delivery by microfinance institutions. The Financial Intelligence Unit of the Bank of Sierra Leone will also be made independent and effective. 48. Mr. Speaker, Honourable Members, Government continues to implement public financial management reforms under the multi-donor funded Integrated Public Financial Management Reform Project (IPFMRP), which aims to consolidate and deepen reforms undertaken in earlier years. In this regard, Government, with support from its development partners, has undertaken an independent assessment of the public financial management systems in central Government and local councils, utilizing the Public Expenditure and Financial Accountability (PEFA) methodology. I am pleased to inform this Honourable House that the results of this assessment revealed improvements in our public financial management systems within central Government. In partnership with our development partners, we have also outlined strategies in tackling the challenges identified in our local councils’ public financial management systems. 49. During the year also, the Government embarked on a comprehensive review of the Government Budgeting and Accountability Act (GBAA 2005) and the Public Procurement Act (2004) and their respective supporting regulations, that is, the Financial Management Regulations of 2007 and the Procurement Regulations 2006, in order to continue to strengthen the legal framework governing public financial management. It is envisaged that these reviews will be concluded during 2012 and the revised Bills submitted to this House for enactment. 50. Mr. Speaker, efforts continue to be made to enhance the planning, monitoring and evaluation process for capital projects. To this end, in 2011, Government amended the GBAA (2005) in support of an appropriate framework for public investment. In 2012, Government will rationalise the institutional arrangements for public investment planning and commence the process of developing a three-year Public Investment Plan (PIP) to be integrated within the budget process. 51. In respect of external audit, the audits of the 2010 Annual Public Accounts for both Central Government and Local Councils have been completed and will soon be laid in this noble House. Progress continues to be made in strengthening the internal audit function across Government. Following the deployment of Internal Auditors in Ministries, Departments and Agencies (MDAs), Internal Audit Committees are now being established to follow up on audit recommendations. Government continues to implement Public Expenditure Tracking Surveys (PETS) to ascertain the proportion of disbursed public resources that reach the intended beneficiaries. The 2011 PETS, covering selected 2010 and 2011 poverty-related expenditures, was conducted in October 2011 and the Report, including findings and recommendations, will be submitted to Cabinet in the first half of 2012. 52. Finally, we will continue to strengthen and deepen the implementation of the Integrated Financial Management Information System (IFMIS) and accelerate its rollout to additional MDAs during the ensuing financial year. The number of local councils using the PETRA financial management software has increased to fifteen. The software will be rolled out to the remaining four councils during 2012. 53. The analytical and dissemination capacity of the Non-State Actors (NSAs) on public financial management issues is also being strengthened to improve civil society’s scrutiny over the use of public resources. Going forward, I am proud to announce today that Government will be publishing a “Citizen’s Budget” for the first time in Sierra Leone. This is in line with H.E. President Koroma’s declaration at the 50th independence anniversary address where he made every Sierra Leonean citizen a “Public Monitor”. A Citizen’s Budget is a simplified summary of the national budget written in a non-technical language in order to reach out to wider segments of our population. Government sees many potential benefits of this initiative – the public as taxpayers have a right to be fully aware of the use of public resources. And, through the Citizen’s Budget, the public would be made fully aware of why we invest in some projects and not in others in a given year, and the Government can also better explain some of the constraints it faces and the difficult choices it has to make. Reflecting the transparency and accountability of our budget process, Sierra Leone has also been selected to be included in the international Open Budget Initiative (OBI). Hence, we shall participate in the Open Budget Survey in 2012. 54. Mr. Speaker, within the framework of the Agenda for Change, Government has been implementing reforms to improve the business environment to enhance private sector activities, including small and medium-scale enterprises. 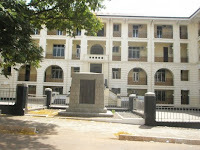 Following the establishment of the Credit Reference Bureau and other reforms undertaken during 2011, including making cross-border trading faster, implementing the Automated System for Customs Administration (ASYCUDA++) and establishment of fast track commercial courts, Sierra Leone’s ranking for improving the business environment has improved significantly. As a result, Sierra Leone has been ranked among the top ten global reformers in the 2012 Doing Business report. Going forward, Government will focus on those areas where additional efforts are needed to further improve our ranking in the Doing Business Survey. 55. Government continues to make efforts to improve governance and fight corruption. Reflecting these efforts, Sierra Leone has improved its score on the MO Ibrahim Index to 48 out of 100 in 2011, up from 34 in 2006. Hence, Sierra Leone now ranks 30 out of the 53 African nations scored in 2011. 56. Looking ahead, Government will focus on improving transparency and accountability in the management of mineral and petroleum revenues to ensure the full realisation of the benefits of the mining sector for all Sierra Leoneans. To this end, the National Minerals Agency is being established and will be made operational in 2012, aimed at strengthening capacity and improving governance in the mining sector. 57. As part of the drive to become EITI compliant, Government will intensify efforts to increase transparency within the mining sector. With this in mind, His Excellency the President will soon launch the Government of Sierra Leone Online Repository, which contains details on all tax and non tax mining revenues. This is a bold step forward and will enable citizens to access information about the mining sector. The repository will be located on the website of the Ministry of Mines and Mineral Resources. 58. Mr. Speaker, over the last few years, the Government has delivered on the commitments made in the Agenda for Change and made major strides in improving the quality of services to the nation. To achieve the even more ambitious policy objectives we are setting for ourselves in the next “Agenda for Change”, Sierra Leone needs a high performing civil service which is capable, motivated and committed to service delivery. There is an urgent task to re-build our public service to meet our present and future challenges. 59. In February 2011, Cabinet approved a multi-year pay reform strategy with the objectives of (i) making the levels of remuneration more competitive and equitable so as to enable us to attract and retain qualified and motivated personnel, in particular in the technical and middle levels; (ii) removing inefficiency; (iii) improving productivity and performance; and (iv) rationalizing the public service. Given the low level at which we are today, this will take a few years to implement. We have made a start by providing significant salary increases this year to teachers and other public servants. Last year, with the launch of the Free Health Care Initiative, we increased significantly the remuneration to health workers. 60. For sustainability, the increase in levels of remuneration has to be accompanied by reforms which lead to improvements in productivity, efficiency and accountability, and have to be affordable. This requires a well thought out, sequenced and prioritized approach to reforms. The reforms in the public sector which Government intends to take in 2012 will include job evaluations, improved performance management systems and better recruitment and staffing policies – thereby changing the way in which our public service is structured, remunerated, and held accountable for public service delivery. The public service should also be staffed with properly qualified individuals, recruited competitively and on merit. These and other reforms are critical components of our overall pay reform efforts – only a more efficient and productive public sector can justify the case for pay increases. 61. Mr. Speaker, in 2008, H.E. the President initiated a performance contracting process to improve the performance of his Ministers and to strengthen accountability for results. This year, the Government has started to extend this process to the management tiers of the civil service bureaucracy by cascading a system of performance management contracts in seven pilot ministries, involving several Permanent Secretaries and Directors, and six local councils. In the coming year, Government will further extend this performance management system to all elements of the public service as we strive to deliver our development objectives and to hold ourselves accountable to the Sierra Leonean citizens. We are being supported in this initiative by the Government of Kenya and the UNDP. 62. However, performance management alone is not a panacea: we must also ensure that we have enough skilled managers and professionals to run our MDAs and that we pay them fairly for the work they do and the contribution they make. 63. To achieve this, with the World Bank’s support, Government will launch a results based “pay and performance” flagship Programme - Improving Productivity through Management and Pay Reforms. This programme will support efforts to fill the “missing middle” in our civil service, reform the arrangements for paying public servants, as well as extend and embed performance management within the civil service. For these efforts to be successful, the various agencies involved in public sector reform will have to better coordinate their activities and work together towards this common objective. A high level coordination and collaboration is particularly required among the office of the Chief of Staff, the Public Sector Reform Unit, the Human Resource Management Office (HRMO), the Public Service Commission (PSC), the various MDAs and Heads of the Civil and Public Services. Government is committed to providing them with adequate resources needed to deliver on this reform agenda. 64. Complementing this effort is the support from the European Union through the recently approved project - “Support to Civil Service Reform Programme in Sierra Leone” - which will be supporting training, rightsizing, institutional support to the HRMO, the PSC and other oversight institutions, and the mainstreaming of anti-corruption efforts in Government. 65. Mr. Speaker, Government remains committed to deepen the fiscal decentralisation process. This is seen in both the increase in the amount of resources transferred to local councils as well as in improving the timely transfers of these resources. In furtherance of its commitment to this process, the Ministry of Finance and Economic Development developed a second generation grant system which has linked finance and functions through a system of client-based expenditure norms and affordable service delivery standards. The framework for this has been prepared and will come into effect in 2012. 66. Furthermore, to give councils greater autonomy in determining expenditure priorities at the local level, an unconditional block grant system has been introduced for certain sectors. In terms of development projects undertaken by councils, the concept of Rapid Result Initiative will be strengthened in 2012 and beyond to ensure local participation and ownership in the implementation of these projects. 67. Mr. Speaker, Honourable Members, the National Commission for Privatization (NCP) has moved from preparatory phase to implementation phase on the reform and divestiture of public enterprises. The key milestone in 2011 is the concessioning and licensing of the Container Terminal and Break Bulk to Freetown Terminal (Bollore Group). This transaction will yield US$177 million over twenty years. The Commission will conclude the following divestiture and reform in 2012: * Sale of Government 51percent shareholding in Rokel Commercial Bank (RCB); * Sale of 100 percent Shareholding interest in National Insurance Company (NIC); * Sale of 51percent Shareholding interest in Mining and General Services (MAGS); * Extension of the Sierra Leone Ports Authority (SLPA) Berth through private finance initiative will commence; and * Concessioning of the Sierra Leone Airport Authority (SLAA) Security System. In addition, the NCP is: * exploring options for the divestiture of minority shareholding interest in the Sierra Leone Commercial Bank. * about to conclude the management contract for Sierratel with a view to improve the financial and operational efficiency and make it more competitive. * also working on the modalities for the resuscitation of National Development Bank. 68. Mr. Speaker, Honourable Members, the primary objective of Government’s economic policy in the medium-term is to sustain high economic growth and reduce poverty, while maintaining macroeconomic stability. Thus, the medium term macroeconomic framework sets out a policy mix, aimed at achieving sustainable economic growth, job creation and the expansion of economic and social opportunities to a broader spectrum of the population, consistent with the priorities set out in the “Agenda for Change”. The key priorities are to increase fiscal space for developing basic infrastructure and improving social services, while supporting the effective participation of the private sector in the economy. 69. The commencement of iron ore production is expected to boost economic activity in 2012 and beyond. The full implementation of the two new iron ore mining projects (African Minerals Limited and London Mining Limited) will substantially expand domestic output, exports and tax revenues in the coming years. 70. Real GDP is projected to expand by at least 50 percent in 2012, putting Sierra Leone among the fastest growing economies in the world. The economy is projected to grow further by 10 percent in 2013 and 2014. Exports are projected to increase by fourfold in 2012 and will continue to grow in 2013 and 2014. Even without iron ore production, the economy is projected to grow by 6 percent on average per annum in real terms during 2012-2014. Consistent with this high growth performance, Sierra Leone has been identified by the International Monetary Fund (IMF) as one of the countries that will contribute to Sub-Saharan Africa’s strong growth performance in 2012, largely on account of developments taking place in the mining sector. This two-speed economy however poses serious management challenges. In this regard, Sierra Leone can learn from the experiences of other Sub-Saharan African countries, and in doing so, create a dynamic, long-term vision, whereby, the Dutch Disease, the resource curse and excessive environmental degradation are avoided. 71. The current account deficit, will decline to 11.2 percent in 2012 and further down to 10.8 percent in 2013 on account of the sharp increase in exports. Gross foreign reserves will average at least 5 months of imports cover. 72. The exchange rate is expected to stabilize in the medium term as export earnings increase. The stability in the exchange rate, combined with the proactive monetary stance as well as increase in domestic food production, will lower inflationary pressures in the medium term. Inflation is projected to fall to 11.0 percent in 2012 and return to single digits in 2013 and 2014. 73. Mr. Speaker, Honourable Members, the primary objective of monetary policy continues to focus on achieving and maintaining price stability consistent with high and sustained economic growth. 74. In 2012, monetary policy of the Bank will remain focused on bringing inflation to a much lower level. Monetary operations will therefore be centered on the use of market-based instruments, mainly Open Market Operations through the buying and selling of government securities and use of repo and reverse repo transactions. The Bank envisages that the improved monetary and financial management in 2012 would translate into further decline in interest rates in the domestic money market. 75. Government will continue to maintain a flexible exchange rate regime to allow the economy to adjust to external shocks. In 2012, the Bank’s foreign exchange market interventions will be guided by the need to absorb foreign-financed budget spending, while reducing short-term volatility in the exchange rate. 76. Mr. Speaker, Honourable Members, while global sovereign debt dynamics is posing serious difficulties for policymakers, Government is taking decisive steps to ensure that public debt management in Sierra Leone is conducted in an improved and transparent manner. A clear manifestation of Government’s commitment to this effort is the passing of the Public Debt Management Act in February this year. 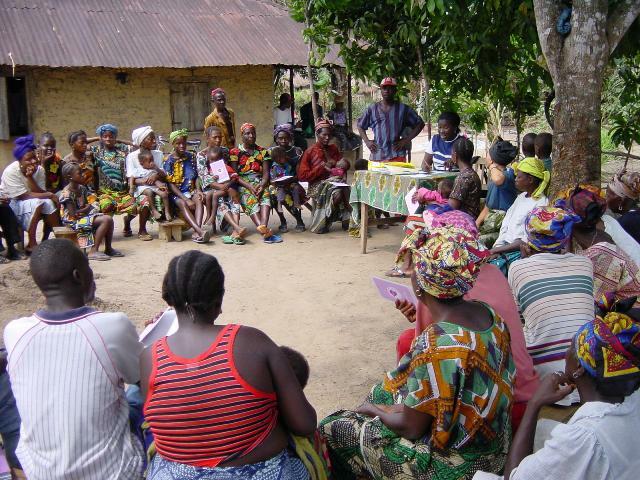 The Act has placed Sierra Leone as a forerunner in formulating sound legal framework for effective, transparent and accountable debt management among low-income countries. 77. Mr. Speaker, to ensure Sierra Leone does not slip into an unsustainable debt path as characterized in the pre-HIPC debt relief era, Government has been conducting annual debt sustainability analysis to determine a mix of borrowing requirements and the strategies required to access funds at low costs and low risk of default. I am pleased to inform this House that the debt sustainability analysis conducted in July this year revealed that Sierra Leone’s external debt situation is sustainable in both the medium and long term. However, in view of the vulnerability of export revenue to external shocks, our external debt situation is faced with a moderate risk of debt distress. 78. On this basis, Government will continue to borrow at highly concessional terms to fund the much desired and productive infrastructure projects. That said, the financing mix of infrastructure projects will draw from both traditional and non-traditional resources. 79. Mr. Speaker, Honourable Members, as Government addresses the issue of external debt, we are also committed to ensure that our domestic debt remains within sustainable levels. Due to the short tenure of the current domestic debt profile, our assessment reveals that our domestic debt has moderate level of both rollover and interest rate risks. Government is taking proactive steps to effectively manage domestic debt portfolio by developing a strategy to restructure the existing portfolio from short to medium and long-term instruments to finance specific development projects. 80. Mr Speaker, given the substantial economic growth prospects for Sierra Leone, 2012 provides an excellent opportunity to secure international credit ratings well in advance of any external sovereign funding requirements. Sovereign ratings minimise investor uncertainty about economic and political prospects of a country and are crucial for a country which seeks to promote direct foreign investment for development purposes and issue sovereign debt in the international capital markets in the future. 81. Mr. Speaker, Honourable Members, the theme of the 2012 Budget is “Celebrating Five Years of Transformative Change”. Hence, the 2012 budget is underpinned by the need to sustain spending on infrastructure development and the provision of basic services to make progress towards the attainment of the MDGs. Efforts will therefore continue to improve domestic revenue collection while mobilising concessional external support from traditional and non-traditional partners to finance Government’s development agenda. In 2012, domestic revenue collection will be supported by new activities in the mining sector and continued efforts to strengthen tax administration as well as the review of various fees and licenses collected by Ministries, Departments and Agencies. (i) continue the implementation of ongoing infrastructure and social sector projects - roads, energy and water supply, schools, hospitals and health centres, in order to spur sustainable economic growth; (ii) continue to provide basic services in health, education, water and sanitation in order to accelerate progress toward the attainment of the Millennium Development Goals (MDGs); and (iii) improve the capacity and productivity of the public service by undertaking deep public sector reforms including pay reform, and the development of a robust performance management system to ensure effective and efficient delivery of public services. 83. Total domestic revenue is projected at Le1.6 trillion (13.8 percent of GDP) in 2012, compared to Le1.4 trillion in 2011. Of this, income taxes comprising personal and corporate taxes, will contribute Le451.6 billion (3.9 of GDP) in line with the growth of the economy. The Goods and Services Tax (GST) is projected to yield Le407.5 billion (3.5 percent of GDP) as domestic consumption of goods and services increases and compliance strengthens. Customs and excise duties are projected to amount to Le381.9 billion (3.3 percent of GDP). While import duties are projected to increase in 2012 relative to 2011 due to the anticipated increase in import volume and value, excise duties on petroleum products are projected to fall from Le64.7 billion in 2011 to Le18.3 billion due to the reduction in excise tax on fuel products in May 2011 to keep domestic fuel prices at affordable levels. 84. Mining revenues in the form of royalties and licenses are expected to increase substantially to Le242.3 billion, compared to the estimated collections of Le185.5 billion in 2011 on account of the projected increase in iron ore exports in 2012. Royalty on iron ore is projected at Le178.8 billion in 2012. However, mining licenses are projected to drop to Le47.2 billion in 2012 from Le175.1 billion in 2011, as the signature bonuses from petroleum activities taper off in 2012. 85. Royalty and licenses on fisheries will amount to Le13.8 billion in 2012. Collections of fees, licenses, fines, etc by other MDAs will contribute Le60.1 billion. Dividends from parastatals mainly Rokel and the Sierra Leone Commercial banks will amount to Le5.3 billion. Other Government Departments will collect Le60.1 billion. Road User Charges are projected at Le44.3 billion, lower than in previous years, due to the reduction in the road user fee in order to maintain fuel prices at their May 2011 levels. 86. External grants are projected to decline to Le696.9 billion (6 percent of GDP) in 2012, compared to Le757.4 billion (7.9 percent) of GDP in 2011 due to lower HIPC debt relief and external budget support. External budget support is projected to decline from Le249.9 (2.6 percent of GDP) in 2011 to Le193.0 billion in 2012. However, support from the Multi-Donor Election Basket Fund will increase to Le113.8 billion in support of the 2012 general elections. Project grants are projected at Le348.3 billion (3.0 percent of GDP). 87. Mr. Speaker, Honourable Members, I will now turn to the policy measures for achieving the revenue targets. 88. Mr. Speaker, the National Revenue Authority implemented a number of reforms in 2011 under its modernization plan, which have contributed to the improved revenue performance this year. These include, the roll-out of the ASYCUDA++ in customs operations, the establishment of a Domestic Tax Department, and a small and micro tax payer regime. (i) The introduction of an additional schedule to the Income Tax Act – ‘the 11th Schedule’ - to address all tax and non-tax issues for the Oil and Gas Sector including all on-shore and off-shore exploration, development and production activities in this sector. (ii) A simplified tax regime for Small and Medium Enterprises (SMEs) so as to bring on board the ‘hard to tax informal sector’ in the tax net, providing the taxpayer the option to be taxed on turnover basis as opposed to the outdated presumptive tax regime. (iii) Improved provisions governing the taxation of multi-national companies with respect to various financing options including finance leases, thin capitalization, and the creation of permanent establishments. This will ensure that source income from Sierra Leone is taxed accordingly irrespective of where ownership and control lie. (iv) The Payroll Tax Act of 1972 will be amended to require individual tax clearance certificates for expatriate staff prior to the issuance of Work and Residential Permits by the Ministry of Labour, Social Security and Industrial Relations. (v) The GST Act will be amended to require all GST registered traders to use the ‘Electronic Cash Register’ (ETR) in order to improve domestic compliance. (vi) Enhance tax payer compliance through the passing into law the unique identifier for each tax payer- The Tax Payer Identification Number (TIN) Bill in 2012. This number is mandatory and will track all transactions undertaken by a tax payer with the National Revenue Authority so as to enhance accurate assessment and payment of taxes on a timely basis. Other revenue enhancing measures include: (a) the full operation of an automated Domestic Tax Department, merging the traditional Income Tax, Goods and Services Tax and Local Excise Unit of the Customs and Excise Department into a single operational unit. (b) the granting of additional powers to the National Revenue Authority to conduct forensic investigation so as to detect fraud and other tax evasive activities and practices. 90. Mr. Speaker, the opportunities provided by developments in the minerals sector must be exploited prudently in order to assist with the national ambitions in infrastructure development and poverty reduction. In this regard, Government will consider in 2012 the findings and recommendations in the IMF Fiscal Affairs Department recent report on Implementing Fiscal Reforms for Extractive Industries. Recommendations as approved by Cabinet will be incorporated in the 2012 Finance Bill. 91. Mr. Speaker, Honourable Members, our non-tax revenue laws have become obsolete and the rates applied for various licenses, charges and fees are so low that the cost of collection far exceeds the actual revenue collected. I will therefore, be proposing in the 2012 Finance Bill upward revisions of non-tax rates, including those levied by the Ministry of Works, Housing and Infrastructure, Magistrate and High Courts, Registrar and Administrator General’s Department and Pharmacy Board. These new rates will, upon approval by Cabinet, also be incorporated in the Finance Bill 2012. (i) Continue implementation of the Comprehensive Pay Reform - Pay reform is an important ingredient of the ongoing public sector reform programme. In this respect, Government has prepared a comprehensive, structured, multi-year pay reform, the implementation of which started in September 2011. (ii) Provide adequate resources for the Presidential, Parliamentary and Local Council elections - The conduct of credible elections is seen as paramount for the stability and progress of our country. In this regard, Government is committed to ensuring that adequate resources are provided to ensure the smooth running of the general elections in 2012. (iii) Support completion of ongoing infrastructure projects - The poor state of our infrastructure was identified in the “Agenda for Change” as a binding constraint on economic growth and socio-economic development. Since 2009, a number of infrastructure projects were started; hence the focus in 2012 will be the completion of these ongoing projects. (iv) Social Safety Nets - Government remains concerned about the social and economic consequences of rising food and fuel prices in the country. Additional support is, therefore, being sought from development partners for the provision of safety nets for the poor and vulnerable, especially as a way of responding to exogenous shocks. As a first step, Government, with support from the World Bank, is currently reviewing the efficiency and effectiveness of existing social safety net programmes with a view to strengthening and consolidating them. This review will help to formulate options for improved safety net systems and their financing. The implementation of new programmes is expected to start in 2012. Initially, these programmes will be fully financed by additional project support from development partners. In the mean time, Government will continue to implement the Free Healthcare Initiative to ensure greater access to basic health services by a greater proportion of the vulnerable population in all corners of the country. (v) Establishment of a Contingency Fund: A Contingency Fund will be established to take care of unplanned/unbudgeted expenditures. For 2012, the budgetary provision in Contingency Fund is to handle security-related expenditures for the Presidential, Parliamentary and Local Councils elections. 93. On the basis of the forgoing, total expenditure and net lending for FY 2012 is projected at Le2.8 trillion (24.0 percent of GDP), compared to Le2.6 trillion (26.7 percent of GDP) for FY 2011. Of this total, recurrent expenditures are budgeted at Le1.8 trillion (15.6 percent of GDP) and capital expenditures, Le1.0 trillion (8.6 percent of GDP. 94. Mr. Speaker, the Government wage bill is budgeted to increase from Le650.3 billion in 2011 to Le798.3 billion in 2012. The increase in the wage bill of Le148 billion will cover a yet to be determined increase in salary for public servants with effect from July 2012 and the recruitment of 1000 police and 300 military officers. 95. To keep real incomes of pensioners in the Government payroll from continued decline, recommendations will be made to Cabinet for the enhancement of annual pensions through indexation and/or other modalities. 96. Furthermore, the computation of gratuities on retirement and death, which hitherto was based on the last basic salary earned by the retiree/deceased, would now be based on the new composite salary. 97. Interest payments on public debt are projected to amount to Le 259.9 billion (2.2 percent of GDP). Interest payments on domestic debt will amount to Le 234.5 billion (2.0 percent of GDP, reflecting the higher domestic interest rates. 98. A total of Le751.4 billion is allocated to cover non-salary, non-interest recurrent expenditures in 2012, compared to Le676.0 billion in 2011. Of this amount, Goods and Services expenditure is budgeted at Le360.8 billion and transfers to local councils, Le82.2 billion. Capital Expenditures 99. Capital expenditures are budgeted at 1.0 trillion (8.6 percent of GDP). Of this, foreign financed capital spending will decline from Le758.6 billion (7.9 percent of GDP) in 2011 to Le683 billion (5.9 percent of GDP) in 2012. However, this figure may likely be revised upwards as new commitments with development partners are made. 100. Domestic funded capital expenditure is increased from Le236.2 billion (2.5 percent of GDP) to Le318.1 billion (2.7 percent of GDP) to fund the completion of ongoing projects in roads, water and energy to accelerate growth, create jobs and reduce poverty. The sectoral distribution of foreign and domestic capital expenditures together with recurrent expenditures is detailed below. 102. The agriculture sector is allocated Le130.4 billion. An amount of Le21 billion is allocated from the recurrent budget to support agricultural services including Le13.2 billion for food security activities. 103. Transfers to Local councils for agriculture services will amount to Le12.9 billion. An additional Le3.2 billion is provided from the domestic capital budget as counterpart funds towards various agricultural projects including the rehabilitation of selected agricultural stations. 104. Our development partners are expected to disburse Le100.4 billion in support of various agricultural projects, including the Smallholder Commercialisation Project, the Rural Private Sector Development Project, and the Agriculture Sector Rehabilitation Project. 105. The Energy and Water sector will receive Le206.3 billion, accounting for 12.6 percent of the total budget. An amount of Le7.8 billion is from the recurrent budget, of which Le4.3 billion is for the water sector. 106. An amount of Le75.7 billion is allocated from the domestic capital budget to support energy and water projects. Of this total, Le7.9 billion is provided for the completion of water projects including the construction of wells and gravity fed systems from Calaba Town to Masiaka; rehabilitation of water supply systems in Mile 91, Pujehun and other selected towns; and the installation of pipes and fittings for various road projects. The balance of Le67.8 billion is allocated to the energy sector to support the electrification of district and provincial headquarter towns including the procurement of thermal plants and transmission and distribution materials as well as to meet counterpart funding requirements for solar street lighting in Freetown and thirteen municipalities. 107. External funding for Energy and Water projects will amount to Le122.9 billion in 2012. Of this amount, donors will disburse Le50.5 billion for water projects and Le72.4 billion for energy projects. 108. The road sector is allocated a total Le395.4 billion, representing 24.1 percent of the total budget. Transfers to the Road Maintenance Fund for the regular maintenance of roads and streets will amount to Le44.3 billion. 109. An amount of Le157.9 billion is allocated from the domestic capital budget, of which Le72.2 billion is counterpart contribution and start-up funding towards the construction and rehabilitation of Highways including the Kenema–Pendembu Road, Lumley-Tokeh Road, Lungi-Port Loko Road, Matotoka-Sefadu Road and the Makeni-Kamakwe Road; Le1.0 billion for the rehabilitation of feeder roads in Koinadugu, Bonthe, Kono and Kailahun; Le84.7 billion for the rehabilitation of streets in Freetown and the District headquarter towns. In addition, Government is allocating Le6.3 billion towards the ongoing rehabilitation of the Lungi International Airport Terminal. 110. Our development partners have committed Le193.1 billion, of which, Le106.5 billion is for the construction of highways and Le59.5 billion for feeder roads. 111. A total of Le138.9 billion is allocated to the education sector. An amount of Le84.4 billion is allocated for education services from the recurrent budget, of which, Le14.2 billion is for secondary education. 112. Grants to tertiary educational institutions will amount to Le52 billion. Government will also provide additional resources to the University of Sierra Leone and Njala University in lieu of an increase in tuition fees. The additional resources required to fill the gap between the current and proposed tuition fees is estimated at Le25.4 billion. Transfers to local councils for education services will amount to Le32.4 billion. 113. Government’s counterpart contribution to donor funded projects in the education sector including Capacity building for technical and vocational education and the rehabilitation of Njala University and the Youth Employment Support project will amount to Le940 million. 114. Disbursements from our development partners in support of projects in the education sector are projected at Le21.1 billion. 115. 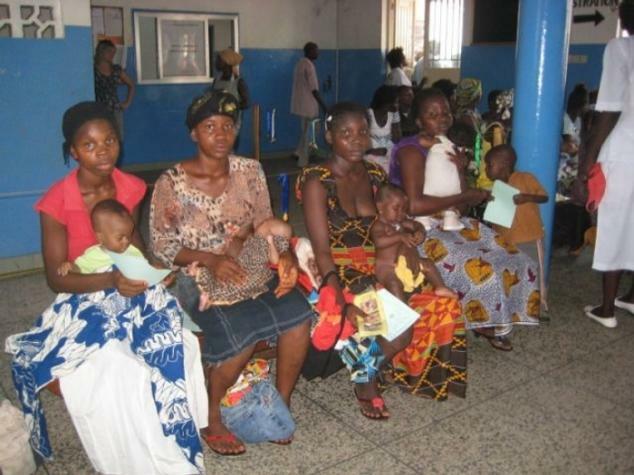 The Health sector is allocated a total of Le110.7 billion, of which, Le30.2 billion is from the recurrent budget. Of this, Le10.9 billion is for Reproductive and Child Health Care and Le3.4 billion for the procurement of drugs and medical supplies. Transfers to local councils for health services will amount to Le30.5 billion. 116. Government’s counterpart contribution towards health sector projects including strengthening District Health Services and the rehabilitation of Government hospitals will amount to Le2.5 billion. 117. Our development partners will disburse about Le47.5 billion in support of projects in the health sector. 118. Mr. Speaker, consistent with our commitments, the total budgetary allocations to the strategic priorities of the Agenda for Change account for 60 percent of the total 2012 budget. I will now describe the rest of the allocations to the other sectors. 119. The security sector is allocated the sum of Le110.9 billion from the recurrent budget. Of this, Le57 billion is for Defence including Le15.2 billion for rice supplies to the military; Le34.2 billion to the Police; Le9.8 billion to the Prisons Department; Le4.1 billion for the National Fire Force; Le2.4 billion for the Office of National Security and Le1.8 billion for the Immigration Department. An amount of Le7.6 billion is allocated from the domestic capital budget for the rehabilitation of various facilities for the military (Le4.8 billion); police (Le1.0 billion) and prisons (Le1.0 billion). 120. 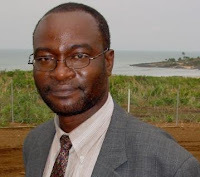 Mr. Speaker, Honourable Members, Sierra Leone is having its third post-war elections in 2012. The Election Programme is concentrating on three key strategic areas of electoral support: capacity building of electoral management bodies; public confidence and trust in the electoral process; and electoral disputes and electoral security. The planned expenditures for 2012 from development partners total US$11.3 million, excluding project management cost and technical advice. Government is providing a maximum of US$18 million (equivalent to Le80.4 billion) to NEC in 2012. In addition, the Government has made allocations to the Political Parties Registration Ccommission (PPRC), and for elections security and contingencies, with total funding for elections related activities in 2012 standing at US$24 million (equivalent to Le107.2 billion). Good Governance 121. An amount of Le1.3 billion is allocated to the Anti-Corruption Commission, Le1.5 billion to Political Parties Registration Commission; Le3.0 billion to the Audit Service; Le1.3 billion to the National Commission for Democracy, Le4.6 billion for Statistics Sierra Leone, and Le11.4 billion to Parliament including Le6.1 billion for constituency facilitation allowance. 122. From the non-salary recurrent budget, an amount of Le16.4 billion is allocated to the Ministry of Foreign Affairs and International Cooperation; Le863.5 million to the Ministry of Fisheries and Marine Resources; Le3.9 billion to the Ministry of Youth Employment and Sports; Le5.4 billion to the Ministry of Social Welfare, Gender and Children’s Affairs; Le2.6 billion to the Ministry of Lands, Country Planning and the Environment; Le2.1 billion to the Ministry of Labour and Social Security; Le4.3 billion to the Ministry of Mines and Mineral Resources; Le4.1 billion to the Ministry of Transport and Aviation; Le6.4 billion to the Ministry of Trade and Industry; Le3.1 billion to the Ministry Local Government and Rural Development; Le905.3 million to the Ministry of Political and Public Affairs; Le2.8 billion to the Ministry of Information and Communication; Le2.4 billion to the Office of the Chief of Staff and Le557.2 million to the Ministry of Tourism and Cultural Affairs. Full details of these and all other MDA allocations are annexed to this Statement. Meanwhile, it is expected that some of these ministries, in particular, revenue generating MDAs will be accorded priority in allocating any additional domestic and donor resources to be acquired during the course of the year. 123. Mr. Speaker, the estimated outstanding obligations of subscriptions to international organisations which span as far back as the 1990s are about US$30.96 million. To normalize our relations and enhance our participation in regional and international bodies, my Ministry will work with MDAs to negotiate treatment of the arrears to seek full or partial cancellation through short, medium and long term arrangements. 124. In this regard and to comprehensively programme payments to international organisations within the Medium Term Expenditure Framework and consistent with the foreign exchange cash flow of the Bank of Sierra Leone, all budgetary provisions and payments of subscriptions to regional and international organizations will be consolidated and centralized at the Ministry of Finance and Economic Development, effective January 2012. Detailed quarterly estimates will be prepared for each institution and the payments will be processed using the same procedures adopted in making debt service obligations to external creditors. 125. Mr. Speaker, the overall budget deficit, excluding grants, is envisaged to decline from 11.8 percent in 2011 to 10.4 percent in 2012. The deficit will be largely financed from external sources projected at Le348.4 billion (3.0 percent of GDP). 126. Domestic financing from banks and the nonbanking financial sector is limited at Le166.4 billion (1.4 percent of GDP). 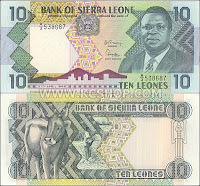 Direct credit to the Government by the Bank of Sierra Leone (BSL) is now limited to 5 percent of previous year’s domestic revenue, as required by Law. Thus, the main source of domestic financing is from commercial banks, other financial institutions, and the non-bank public. 127. Government borrowing from the commercial banks to finance the deficit is projected at Le66.6 billion (0.6 of GDP). Borrowing from the non-bank public is projected at Le33.3 billion (0.3 % of GDP). Plans are underway for the introduction of medium-term bonds for infrastructure development. 128. Proceeds from the privatization of the Rokel Commercial Bank, the National Insurance Company and the Sierra Leone Ports Authority, projected at Le34.8 billion, will also be used to finance the deficit. 133. All of these risks have the tendency to increase project costs, and overburden the Government with unplanned expenditures. 134. Mr. Speaker, Honourable Members, 2011 performance outcomes and the 2012 budget and its medium term perspective reflect the directions provided by His Excellency the President in his “Agenda for Change”. 135. Our generation has faced daunting challenges and defining moments. Fortunately, the “Agenda for Change” provided a new direction for our future, building on the past and making good on promises. We are delivering on our commitments: enhancing agricultural productivity; improving road network; increasing access to electricity; providing good health and quality education; improving business environment; and building a productive and sustainable economy, while creating jobs, restoring and consolidating the peace and stability. It is to that vision that this Budget is formulated and to that cause our Government has demonstrated its commitments. 136. Mr. Speaker, Honourable Members, I will like to end this Statement by expressing my profound gratitude and appreciation to all those who have supported budget execution in 2011, including our development partners and budget oversight institutions. My thanks also go to all those who in diverse ways have contributed in the preparation of the 2012 Budget, from the many organisations and groups who participated in the policy hearings to Sierra Leoneans from every corner of the country who aired their views and opinions in the print and electronic media. Their contributions, their views and concerns in no small way shaped the Budget I am tabling today. 137. I would also like to thank my colleagues in Cabinet and Members of this House who provided advice and insights. In particular, I want to acknowledge the contribution of the Chairman and Members of the Parliamentary Finance Committee. Above all, I want to thank my Deputies and staff of the Ministry of Finance and Economic Development, the Governor, Management and Staff of the Bank of Sierra Leone, the Acting Commissioner General, Management and Staff of the National Revenue Authority, and heads of other MDAs for their invaluable work in finalising these estimates. The Government Printer is applauded for rising to the occasion in preparing the printed statement and estimates on time. 138. Mr. Speaker, Honourable Members of Parliament, I commend the 2012 Appropriation Bill to this House. 139. I thank you all for your time and may God bless Sierra Leone.